This casebook provides an applied perspective regarding school-based consultation, including an overview of mental health consultation, behavioral consultation, social learning theory consultation, Adlerian consultation, and ecological/organizational consultation. Along with relevant discussion of the issues in each case study, critical thinking questions are included for discussion among students and educators regarding school-based consultation. This text includes many more and diverse case examples than the competing casebooks available, and is designed to be used in conjunction with any of the established primary texts in Consultation. 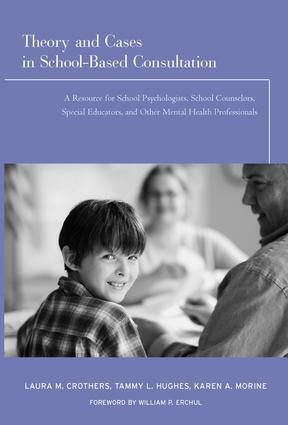 School-Based mental health professionals, educators, and graduate students will find Theory and Cases in School-Based Consultation an indispensable guide in their work and study.